Investment – Hantu Kak Limah? Hantu Kak Limah made history as the highest grossing film in Malaysia, taking in RM20.5 million in ticket sales alone over 11 days. While the production cost is not known, it can be safely assumed that the ROI or return on investment for Hantu Kak Limah will be in 3 digits at the very least. So why don’t more people fund films since they are so lucrative? Or why is the film industry a non-starter for banks? The answer lies in the risk reward profile of the film industry. Success and failure is unpredictable. An investor can make a lot and he can also lose all (example, Kevin Spacey’s latest film grossed USD126 on its opening night in the US). Hence, the funding of films tend to be from own pockets and not many people have that kind of pockets. Fortune favours the brave, or fool-hardy. The only exception where third party financiers may come in is when the films (or songs) are long time favourites with a track record of royalties. If they are expected to be perennial favourites, a case can be made to securitise the future royalties. These would include Sir Run Run Shaw’s films, P Ramlee’s films or anthology of Elvis Presley, Michael Jackson, Beetles songs. Difference between investing in listed shares and bonds. Bonds are IOU financial instruments issued by companies and the Government. They are similar in nature to bank loans. A bondholder receives a periodic coupon (normally every 6 months) and the par value on maturity. These are fixed obligations, meaning you can sue the issuer if they are not paid. Like bank loans, bonds can be secured against the issuer’s assets. You can foreclose on the asset and recover your money from its sale. You can be an active bond investor by trading the bonds and make capital gain (or loss). Bond prices change based on the issuer’s credit standing and the prevailing interest rates. But if you are a passive investor, you will just get your fixed coupon and par value. For shares, an investor makes money from dividends and capital gain from share price increases (or loss). Dividends are at the discretion of the company. You cannot sue if you don’t get any dividends. There is also no security. If the company goes under, an ordinary shareholder is the last to get any remaining cash after all statutory bodies and creditors have been paid. Hence, shares are riskier than bonds. Next, how does a retail investor buy bonds? 2. Operating expenses to fund daily operations e.g. salaries, utilities and rent. For capital expenditure (capex), the company uses term financing which has a fixed repayment period, usually less than 7 years. This term loan or term financing (in Islamic) typically has a grace period where it does not have to repay any part of the loan. Financiers recognise that the company needs time to be established and generate cash. However, there is no grace period for interest payment. Operating expenses are funded by working capital financing which are in the form of revolving credit (RC), overdraft facility (OD) or trade lines such as letter of credit (LC), bankers’ acceptance (BA) and trust receipts (TR). These are short term in nature (1 year and subject to renewal). RC and OD allow you to use, pay back and reuse within the tenure of the facility. Commercial banks (conventional and Islamic) and investment banks are governed by the Financial Services Act/Islamic Financial Services Act (FSA/IFSA) under the purview and supervision of Bank Negara (BNM). Development Finance Institutions (DFI) such as Bank Pembangunan, SME Bank, EXIM Bank, Agrobank, BSN are governed by the Development Financial Institutions Act. Under the Act, selected DFIs have been placed under the purview of BNM. Besides BNM, the DFIs are also supervised by the Ministry of Finance and their respective ministries , e.g. Agrobank under the Ministry of Agriculture and Agro-based Industries. Capital market activities (related to financial instruments e.g. shares, ICULS, warrants that are offered to the public, bonds and sukuk) are governed by the Capital Markets and Services Act (CMSA). The regulatory body is the Securities Commission. If the instruments are listed, the issuing entities must also adhere to Bursa Malaysia’s guidelines. There are also many other non-bank financial intermediaries in the financial system such as insurance and takaful companies, pension & provident funds (EPF, KWAP, LTAT, LTH), CGC, Cagamas, credit companies, factoring and leasing companies and money changers. Redeemable convertible unsecured loan stocks (RCULS). Redeemable means the financial instrument can be redeemed for cash. The company will pay the holder the nominal amount of the instrument. Convertible means it can be converted into ordinary shares. The conversion ratio of how many ordinary shares will be received are set upfront. So RCPS means the preference share can be redeemed for cash or can be converted into ordinary shares. Sometimes, there is an additional “C” in the instrument name, e.g. RCCPS. It stands for cumulative. It means that any unpaid dividends this period will be carried forward and added to the next period’s dividends. The “I” in ICULS stands for irredeemable. A convertible bond means the bond can be converted into ordinary shares. If the financial instrument is “Exchangeable”, it means it can be exchanged for another financial instrument. Leasing is a popular form of financing. 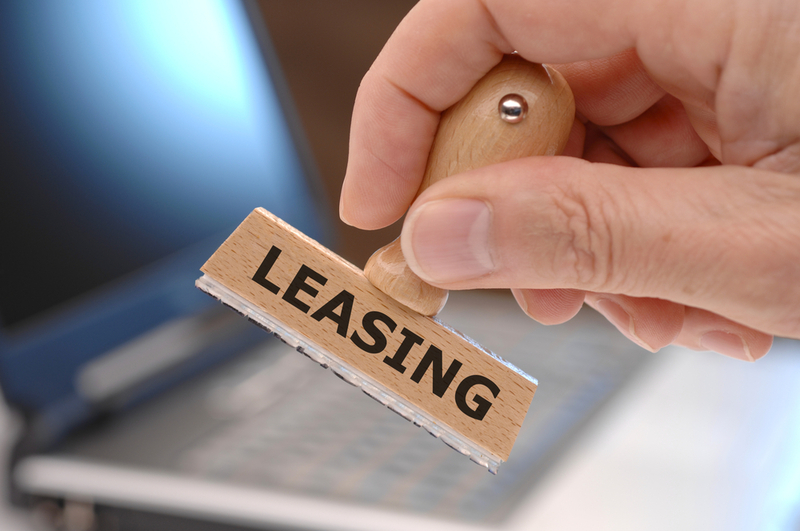 There are 2 types of leases, operating and finance lease. For clarification, the lessee is the user of the asset while the lessor is the financier of the asset. In operating lease, the lessor owns the asset and is responsible for its maintenance and insurance. The contract may be cancelled and the asset goes back to the lessor. The lessee recognises the lease payments in its P&L. That’s all the effect on the company’s financial statements. Typical assets leased are photocopying machines, computers and automobiles (not to be confused with HP for cars). In a finance lease, the lessee owns the asset and is responsible for its maintenance and insurance. This is akin to the company borrowing money from a bank to buy the asset. The asset appears in the lessee’s balance sheet and is depreciated. The lease payments are discounted at the lessee’s borrowing cost and appear as a liability in the lessee’s balance sheet. Assets leased include buildings and aircraft. Hence, a company will choose finance lease if it wants to report a bigger balance sheet. If it doesn’t want to have a high gearing (debt), it will choose operating lease. What is collateral? That’s an asset pledged by a borrower to protect the lender’s interest. If the borrower defaults ie. do not pay back the loan, the lender can sell the asset to recover the money lent. Types of assets used as collateral include landed property, securities (shares), receivables, fixed deposits and plant, and machinery. For an individual who is applying for a housing loan, the house to be financed will be the collateral for the mortgage. If the individual defaults, the bank will sell the house. If there is a shortfall between the sales proceed and the loan outstanding, the lender will claim the shortfall from the borrower. This happens when the house value is below the loan value. This is called negative equity, which hit many homeowners in the USA during the subprime crisis. An investor gets 2 forms of return from share investing – dividends and capital appreciation when the share price rises. We take a look at dividends here. If you are a retiree, what kind of shares should you buy? As a retiree, you need a dependable passive source of income because you no longer have a salary. You also cannot take on high risks because unlike a young investor, you do not have a long horizon to recover any loss. Shares with a steady dividend payout suit that investment profile. These are typically blue chip stocks which are market leaders in matured industries. Some companies like TM have stated their dividend policy of how much they will pay out as dividends from yearly profits. They can do that because they do not need to invest aggressively or unexpectedly. Young companies on the other hand need most of their cash to be reinvested. Look also at the dividend yield of the company. This is dividend divided by the current share price. This ratio changes as the share price changes. A 5% dividend yield means the dividend paid is 5% of the current share price. So assuming the company’s situation does not vary in the future, you can expect a return of 5% from buying the share.